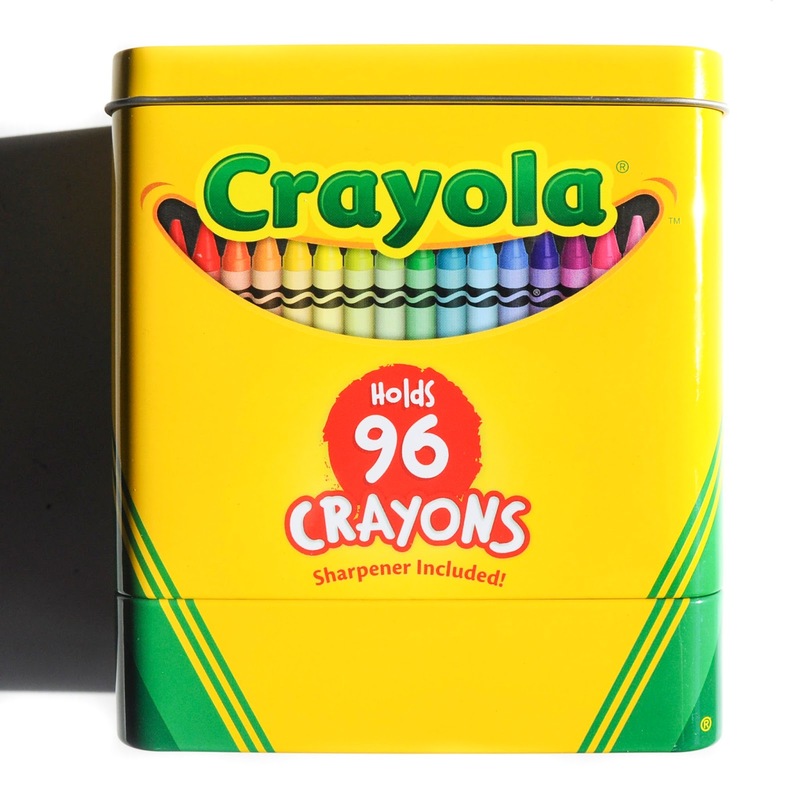 I fell in love with the 96 crayon holder tin when I saw it. 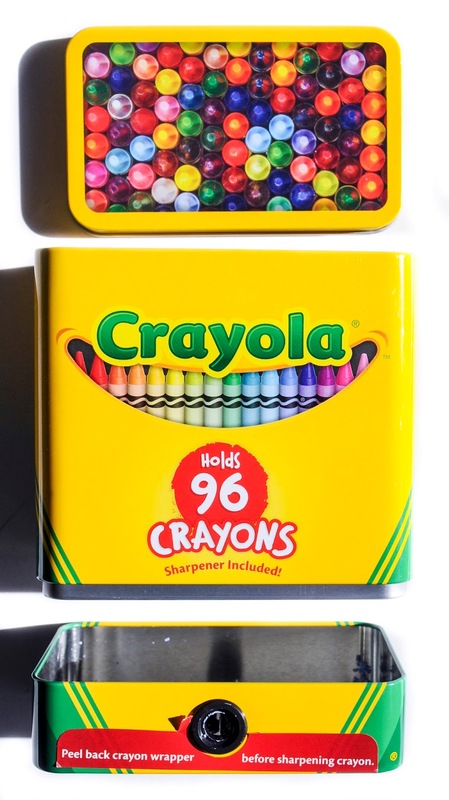 The metal tin looks like a 64 crayon crayon box, and even has a crayon sharpener. The whole box comes apart, the top comes off to put in crayons and the bottom to empty the crayon shavings. Unfortunately a 96 crayon box will not fit inside. I use it to store my smaller 4 count boxes. This box is made by the The Tin Company, a company that makes a lot of Crayola's tins. Click here to find on eBay. This crayon tin is collectible even though Crayola did not directly make it. 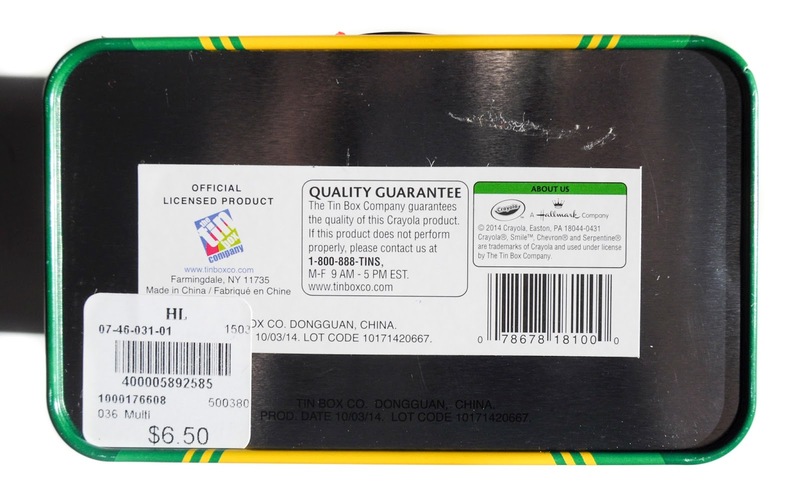 The Tin Box Company makes many of Crayola's liscensed tins.